The Veterans Administration Medical Center (VAMC)current facility was built in 1955 and has seen numerous renovations since then. Located on an 86 - acre campus, VAMC is a 122 - bed tertiary care facility serving veterans residing within a 25,000 square mile primary service area within VISN #19. It is closely affiliated with the University of Utah School of Medicine, which is physically located adjacent to the Medical Center. The hospital supports 122 beds active beds with 346 physicians and 344 nurses. The VAMC specializes in oncology, cardiology, rehab, neurology, neurosurgery, podiatry, dental, urology, ophthalmology, and women's health. VAMC has a 14 bed emergency department that provides 24/7 coverage staffed by the TEAM Division of EPIC. 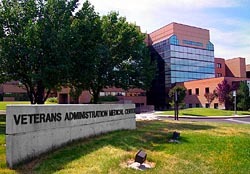 VAMC is located at 500 Foothill Blvd., Salt Lake City, UT 84148. To view their website click here.